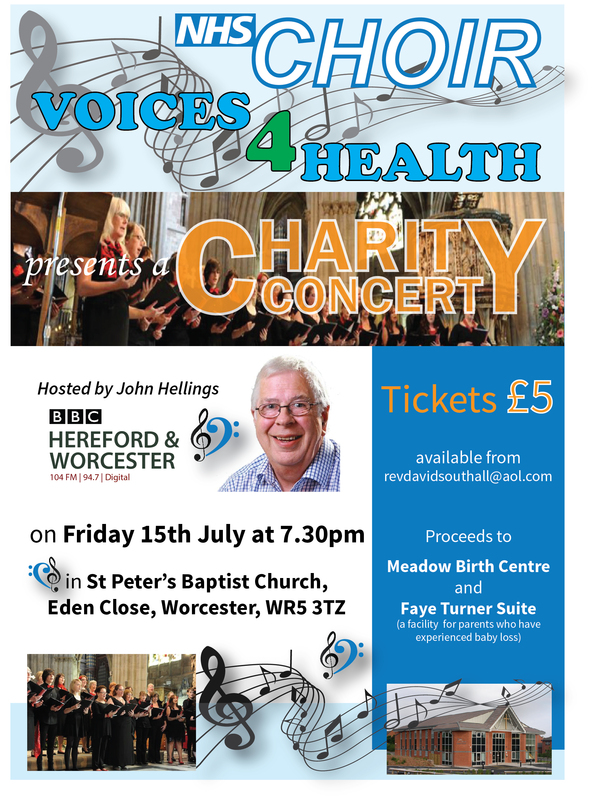 The Choir will be staging their own Charity Concert on 15th July at 7:30p in St, Peter’s Baptist Church, so anyone who would like to come and hear them is welcome. They are raising money for the Meadow Birth Centre and The Faye Turner Suite (a facility for parents who have had a stillbirth) at Worcester Royal. Tickets are £5 and available from revdavidsouthall@aol.com or available on the door.